» The Colombia Titan Ridge Down Jacket Review – The Best Down Jacket on the Market? There is very little outdoor clothing that beats the down jacket, whether it is for casual use or outdoor adventures like hiking, camping, mountaineering, etc. This is because down jackets provide cozy insulation as well as the best warmth-to-weight ratio on the market these days. They are also extremely easy to compress compared to their synthetic counterparts, thereby making it easy to stow away or carry along on a trip with limited space. This review will highlight one of the best down jackets on the market today which is created by a company that started in a small way but has developed and grown over the years to be a force to reckon with in the sportswear industry. 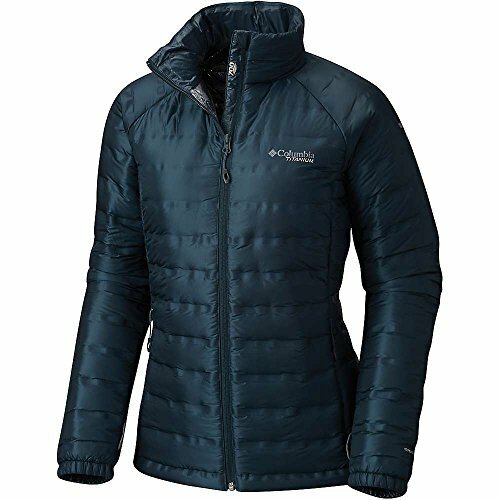 The company, Columbia Sportswear makes exceptional outdoor clothing, and one of them is the Columbia Titan Ridge down jacket. Columbia Sportswear is one of the brands that focus on the creation of the best outfits for outdoor activities. This outdoor industry veteran with a high level of brand trust was born more than 70 years ago in Portland, Oregon as a small hat company known as “Columbia Hat Company” and based in the Pacific North West, the company grew and began to design all clothing with the craggy mountains, wild Pacific coastline as well as the majestic forests in mind. These are the environments that Columbia Sportswear chose to build their brand of outdoor clothing after testing them against the remarkably changing weather along the way. Their products are not dedicated performance pieces or high-end, making them one of the most readily affordable outdoor wears on the market today. 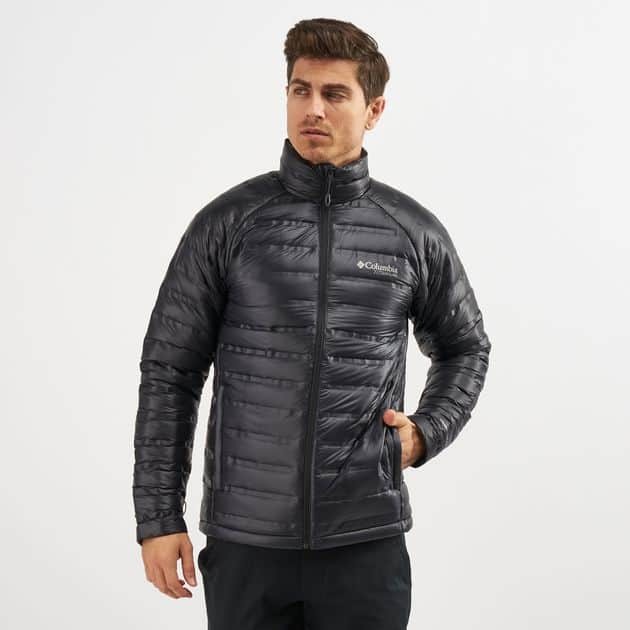 One of the popular ranges of outdoor clothing from this remarkable company with decades of experience is the soft-wearing and comfortable Columbia Titan Ridge down jacket. The sportswear company has also sponsored teams in the sporting world, provided clothing for both the United States and Canadian Freestyle ski teams, Manchester United Football Club, and the Vidaraid Adventure Team. Columbia Sportswear has also earned the right to be the official outfitter for the United Kingdom’s National Park Rangers as well as staff. The Columbia Titanium range of outdoor clothing is designed to ensure explorers, and outdoors enthusiasts remain protected in the harshest of conditions. The Titan Ridge down jacket is a featherweight, down-filled, water-resistant jacket with an exceptional warmth-to-weight ratio that makes use of one of the latest heat seal technology from the Columbia brand to preserve maximum heat. The RDS certified 800 fill power down – which ensures an even distribution of insulation with zero cold spots – makes an excellent job of keeping you super-warm and cozy. The Columbia Titan Ridge down jacket also comes with stitchless baffling which greatly minimizes down migration while enhancing water and wind resistance. Since there are practically no stitch holes, the chances of water penetrating the Titanium Ridge down jacket is pretty slim or downright impossible. Moreover, the Columbia Titan Ridge down jacket is reinforced with an Omni-Heat reflective lining which is designed to reflect body heat and prevent it from escaping. The tech mentioned in the previous section is a big plus for the Titan Ridge down jacket by making it one of the warmest down jackets ever, thanks to the reflective lining. The water-resistance attribute is pretty solid as rainwater does nothing other than bead on the surface of the jacket while keeping you bone dry all day long. It also features an adjustable hood attached to the jacket itself, a drawcord hem, interior security pocket, and attractive binding at the cuffs. The Columbia Titan Ridge down jacket can be packed securely into an internal pocket, thus making it easy to store when it is not in use. The Titan Ridge down jacket is also an excellent choice if you are looking for or need an autumn jacket for protection against big temperature drops and rain. It can also serve as a mid-layer hard shell for conditions that are somewhat more extreme than usual. There is no doubt that this down jacket is an excellent addition to any gear cupboard and should not be taken for granted. The ultra warm, ultra light Columbia Titan Ridge down jacketis made up of 100% Nylon fabric, Omni-Heat Reflective (more about this later) lining and 800 Fill Power Water Resistant Down Insulation that is RDS certified, i.e., responsible down certified. All down insulated items from the Columbia brand are responsible down certified, and this implies that they are respectful of animal welfare. Columbia Omni-Heat Reflective is a technical fabric from the Columbia brand used in regulating temperature. It works based on the principle of thermal reflective warmth. Whenever you notice that your outerwear comes with tiny silver dots and they line your jacket, then you should start to think reflection since that is what the dots are there for. The Columbia Titan Ridge down jacket is lined with branded tiny silver or metallic dots – which make up at least 35% of the heat-retaining lining – that reflect your body heat at you, thereby retaining the warmth generated by you. The Columbia Titan Ridge down jacket is also extremely breathable, thus minimizing the chances of significantly overheating as it allows excess heat and moisture to escape. The down jacket fabric wicks moisture away from your body to keep you warm and dry. The Columbia Titan Ridge down jacket also reduces your need for bulky layers. Columbia Heat Seal is an exclusive technology from the Columbia brand. It is stitchless baffle construction made specifically for down-fill pieces. This remarkable technology helps in reducing weight and heat loss significantly. The Columbia Titan Ridge down jacketdoes not only look sleek and modern but also helps to ensure that down doesn’t shift around as you move. When down is in place, you will stay warm all the time, thanks to the specialized technology from the company. This technology is the first of its kind in the outdoors and sportswear industry as it features a resilient, waterproof membrane on the outside along with a soft wicking internal fabric. According to the Columbia brand, the Outdry™ Extreme feature solves an inherent problem that is common in most traditional waterproof jackets that come with inner waterproof membranes as well as an external fabric which is breathable. The breathable, external fabric needs to be treated as well to make the jacket entirely waterproof. If the down jacket is not appropriately maintained over the years, the material will weaken and deteriorate completely, thus allowing water in, and thereby reducing the jacket’s breathability feature. “Down” is the soft fluffy insulating feathers or layer that lies beneath the outer feathers of ducks and geese or other adult birds. It keeps their bodies warm, even when these birds are around water that is nearly at freezing temperatures. The “down” layer is situated between an oily layer of hollow outer feathers and their skin. This gives the birds the ability to float while providing a waterproof membrane that protects the down. Down, in most cases, is grey or white and typically looks like a blob of tiny feathers or fibers that are joined in the middle somehow and radiate outward. These down blobs or tiny little fibers create millions of minuscule air pockets. Air is warmed in these pockets, courtesy of the heat generated by your own body, and then trapped in place around you, thanks to the down. If more inert air is held in place around you by the down, you will also feel warmer. This is the primary reason why the loftiest sleeping bags and jacket are also the warmest. Despite years of in-depth research and scientific or technological development put into artificial or synthetic insulation, humans have not been able to come even close to the insulating supremacy of the goose. This implies that “Down” still maintains its power by having the best warmth-to-weight ratio on earth. Moreover, down is also more resilient or irrepressible than its synthetic counterpart and can retain its loft even after several years of being re-lofted and compressed. In this section, we are going to take a look at what you should consider when choosing the best down jacket for your needs. When it comes to buying an insulation layer, one of the first decisions you must make is choosing between a synthetic or down jacket. For instance, synthetic jackets are highly durable in terms of abrasion. If you happen to scrape against a wall and rip up a few holes in a synthetic jacket, the continuous filament insulation remains in place, thereby keeping you warm until you patch up or mend the holes later on. But the same cannot be said of a down jacket; make a slight mistake that sheds the shell of your down jacket and hundreds of the feathers will be blowing everywhere. Down compresses much better than synthetic, and it is also warmer than its counterpart for its weight. However, the primary weakness of down is the loss of its insulating ability when it is wet. If you wear an average down jacket and unfortunately get caught in a torrential downpour out there, the jacket will not only become wet, thereby losing its loft, but it also becomes nothing more than a heavy sack of wet feathers. It takes an extremely long time for a wet down jacket to dry out and become useful again. But then again, this is not the case with modern synthetic jackets. A synthetic jacket retains most of its loft, no matter how wet it is. Down garments or jackets are somewhat more expensive than their synthetic opposite number, though in the long run, this extra cost is offset, thanks to the enhanced durability of the product. Down with high-fill power usually lasts much longer than synthetic insulation. If you stuff a synthetic jacket into the bottom of your pack several times over an extended period, t will not loft up as much as it used to when it was still brand new. At such periods, the synthetic jacket has started losing its warmth. But if a down jacket was subjected to the same treatment – i.e., stuffing after stuffing into a pack hundreds of times – it will maintain its loft while remaining warm for several additional years than its synthetic equivalent. Hydrophobic down is regular down that has been covered with a DWR (durable water-repellent) coating. This is very similar to what some companies use and apply on the outside of jackets to repel water. It is assumed that when down insulation is coated with DWR, it will be able to repel water as effectively as synthetic insulation, thus eliminating one of its significant disadvantages of using a down jacket in a torrential downpour which is the inability to retain warmth and maintain loft when wet. A few companies have adopted and developed exclusive hydrophobic down and incorporated different versions respectively. However, how long one can expect these DWR coatings to last or continue to work is not very clear. This is because DWR coatings when applied to the face fabrics tend to wear off after it has been used more than a few times and after a particular period. Even when some manufacturers that employ the DWR technology claim that their down jackets have “permanent” water-resisting capabilities, one tends to take such words with a pinch of salt as it is a claim that is hard to believe. If it was believable, then all the manufacturing companies that produce down jackets for outdoor adventures will incorporate the use of hydrophobic down unanimously. At present, only four down jackets out of the top 10 use hydrophobic down. It is also assumed that factors such as the cost of development, cost of implementation as well as durability issues may have something to do with the irregular or occasional adoption of hydrophobic downs. So, since there isn’t enough concrete proof to invalidate the claims that hydrophobic down jacket performs as well as it is touted, it is left for you to decide whether or not to go for one, depending on your budget. Another purchase decision factor is the fill power; however, this is the most commonly misunderstood element when it comes to making buying decisions. Manufacturers, in most cases, advertise “fill-power(s)” of 650 or 700 or 850, etc. But what many people do not know is that these numbers are used as references to the quality or superiority of the down insulation used. The numbers represent a volume, i.e., the number of cubic inches that one ounce of down occupies. For instance, one ounce of 800 fill-power down fills 800 cubic inches when it is compressed by a homogenous weight. To make this explanation clear, let’s say you use about two ounces of 800 fill on jacket B and two ounces of 700 fill on jacket C; the former jacket, i.e., jacket B will be warmer than the latter because jacket B has more loft since it has 800 fill down. But then, it is also possible for a jacket to have 8 ounces of 850 fill down and yet have or share similar warmth characteristics with another jacket with 12 ounces of 650 fill down. The jacket with 850 fill down will usually weigh much less and be more compressible because it has a lesser amount of down in it. That is to say, jackets with high fill power down allow for enhanced warmth-to-weight ratios, though that is not always the determining factor when considering the warmth of a down jacket. The quality of down is as important as the quantity of down whenever you are figuring out how warm your jacket should be. It is more common for manufacturers that use a lot of down for some products – e.g., sleeping bags, etc. – to list the specific amount of down they use to stuff them up, this is not the case with down jackets. But this information can help us to compare material weights and fill weights. It is also beneficial when ranking jackets based on their specific warmth-to-weight ratios. 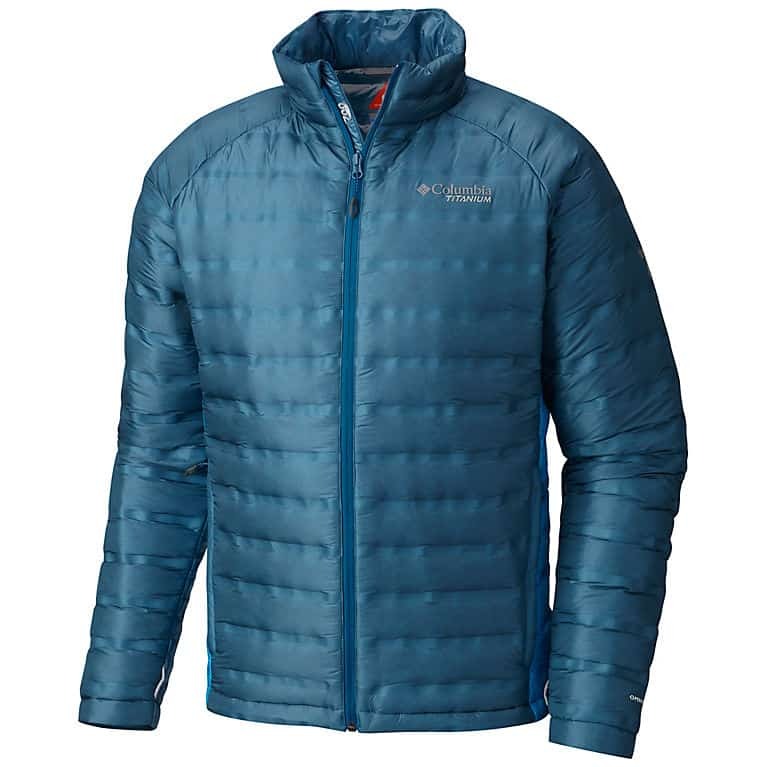 If you are looking for an ultralight – and warm – jacket, then high fill-power down is very crucial. Jackets with this attributes usually come with high price tags. On the other hands, if you want to save a lot of money, you can go for jackets with lower fill-power down as they are usually less expensive than their high-priced counterpart. However, since more down is required to achieve similar warmth, your jacket will be very heavy. Down – as mentioned earlier – is those fluffy or feathery white substances that both geese and ducks employ as insulation from the cold. It is typically found between their skin and outer feathers and cannot be readily and synthetically replicated. This means that down must be harvested directly from geese or ducks, though goose down is believed to possess a higher quality as well as higher fill powers than ducks’. This, in essence, means that they divulge their down sources as well as the harvesting practices they utilized when obtaining the down from the birds. Such companies take the time to ensure that their down sources are exclusively the product of the food industry and that no animal was ever live-plucked to obtain their down. Such companies go out of their ways to make sure that the down obtained from humanely treated animals are not mixed with down that is cruely sourced from other animals. Several inhumane practices are practiced in this industry a few of which include force-feeding the animals as well as live-plucking the birds. Reputable companies that are concerned about the welfare of the birds usually absolve themselves of such cruelty by stating their supply of responsibly sourced down. This, in turn, mounts untold pressure on companies that don’t mention their down sources. You should therefore also consider this important and humane aspect of your down jacket before purchasing it. This is a construction technique that fuses or merges the outer and inner pieces of fabric in such a way that a baffle responsible for holding down the heat, glue, chemicals – a combination of these three – is created. Most times, the exact techniques used to achieve this technological feat are not revealed, and so may be different and exclusive from one fabric-making company to another. However, one primary benefit of this particular technique is that seeing as there are no holes at all in the outer fabric from sewing the baffles, such down jackets are more water-resistant and wind permeable. This is the most common method employed by numerous fabric-making companies. It is less time-consuming, more comfortable, and considerably cheaper for these manufacturers than the baffle construction method or technique. This technique involves the stitching of the outer material directly into the inner lining and then separating the down in different horizontally-oriented baffles. This method also makes use of less fabric and much lighter than the more complicated welded box baffle construction, and less costly as well. As a result of simplicity, cost, and weight, a majority of lightweight jackets out there – as well as several heavy ones – use this construction. Though sewn-through construction saves a lot of weight via the use of less fabric or material, it is also less warm compared to box baffle construction. This is because the down is pinched or gripped at the seams of the sewn-through baffles. This means that loft is practically reduced to zero at every point of baffle stitching. Moreover, the sewn-through baffling also prevents the migration of down, though it reduces the ideal loft of the down as a result of the simple construction. This results in the creation of what is known as “cold spots” at each baffle seam. An ultra-light model that weighs at least 9 ounces typically has about 3 ounces of down. The other parts of the jacket weight are the zippers, fabric as well as numerous other small features such as the cinch cords used for adjusting the garment, etc. Jackets constructed with light materials are more natural to compress and of courses, very light. There are numerous fabrics out there, and each one comes with its unique level of durability. Lighter and thinner materials are, in most cases, more susceptible to snagging and abrasion. However, there are several ultralight shell fabrics out there on the market which come with a considerable level of durability while they give room for construction of reliable jackets with impressive warmth-to-weight ratios. You can glean a lot of information about the weight savings as well as the durability of a shell fabric when clothing manufacturers list the denier, i.e., the unit of measurement for the linear mass density of fibers. In a layman’s language, it is a measure of fiber fineness. Moreover, the shell fabric also affects the warmth of the garment. The shell fabric is responsible for protecting the down from the elements. Therefore, tight-woven fabrics are more water-resistant than other types of weaves. One of the most significant advantages of down is its compressibility, and this is why many down jackets – including the Columbia Titan Ridge down jacket – either compress into their own pockets or come with a stuff sack. Down jackets that stuff into a hand or chest pocket or come with a clip-able carabiner loop are ideal for climbing than those that stuff into separate sacks because of the effortlessness with which to attach the stuffed jacket to your harness. This is an excellent feature for those who climb multi-pitch routes where they only carry a small follower’s pack along with them. This allows the leader to take the lead with the jacket on their harness and therefore, have it at the belay while the entire followers carry the pack. Another issue with jackets that come with a separate stuff sack is that it is easy to lose it. Extra care needs to be taken to ensure that you don’t misplace it as you embark on your outdoor adventure. Down fill has somewhat average breathability; this means that a down jacket can cause you to start overheating when you engage in high-exertion activities, no thanks to its warmth-to-weight ratio. What is more, when you are sweating inside a down jacket, you are inadvertently damaging its insulating properties since your water vapor comes in direct contact with the down feathers. But breathability varies in terms of synthetic insulation, even though they are generally less prone to leakage and less fragile than down jackets. You need to consider the primary reason why you need a jacket in the first instance as this will help you to determine whether you should go for a down jacket or one with synthetic insulation. The Columbia Titan Ridge down jacket is highly breathable, durable, and makes use of several patented state-of-the-art technologies to ensure users have maximum comfort as they brave the elements. Although it is relatively high-priced, you will enjoy lots of features that will give you a lot of value for your money. We recommend this jacket to anyone looking for a good down jacket to serve as either a mid-layer or an everyday winter jacket. 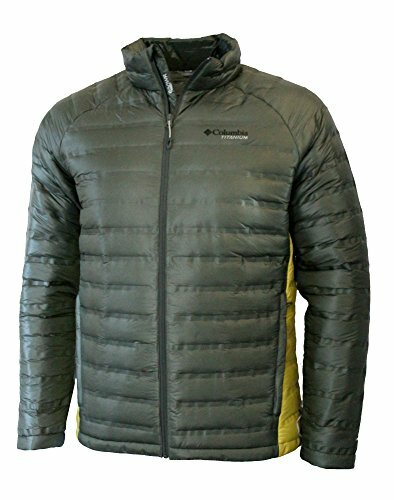 What is your favorite jacket from Columbia? We would love to hear from you! Also, you can pick up the Titan Ridge down here!